Food expenses take a large chunk out of the household budget. Fortunately, there are many ways to save money on food during the fall months. Following these seven simple tips can save you hundreds of dollars over the next few months. Many fruits and vegetables peak in the fall months and are cheaper than produce grown in other regions or stored in warehouses. Apples are a great food to purchase in the fall, along with pumpkins, grapes, mushrooms, cauliflower, winter squash, and brussel sprouts. You can use an app like AllTheCooks to find tasty recipes using these ingredients. Storing foods properly ensures that they will last long enough for you to use them. Numerous food storage guides are available online that tell you how common foods should be stored for the longest life. You may be surprised to find which foods should be left on the kitchen counter, which should be refrigerated, and which should be stored in airtight containers. You will generally pay a lower price per unit when you buy food items in bulk quantities. Only buy what you know you can eat before it expires to avoid wasting more money than you save. There is little difference between name-brand foods and their generic counterparts. Try the generic brands offered by your grocery store and see how they stack up against the brand you normally buy. Switching to generics can save you 15 percent to 40 percent on the price of the product. For less than $50, you can buy a slow cooker that you can fill with food in the morning to come home to a fully cooked meal after work. You will avoid spending money eating out on the days that you come home tired and can make enough for leftovers later in the week. A wide variety of restaurants offer promotions where kids eat free when the parents pay for their meal. 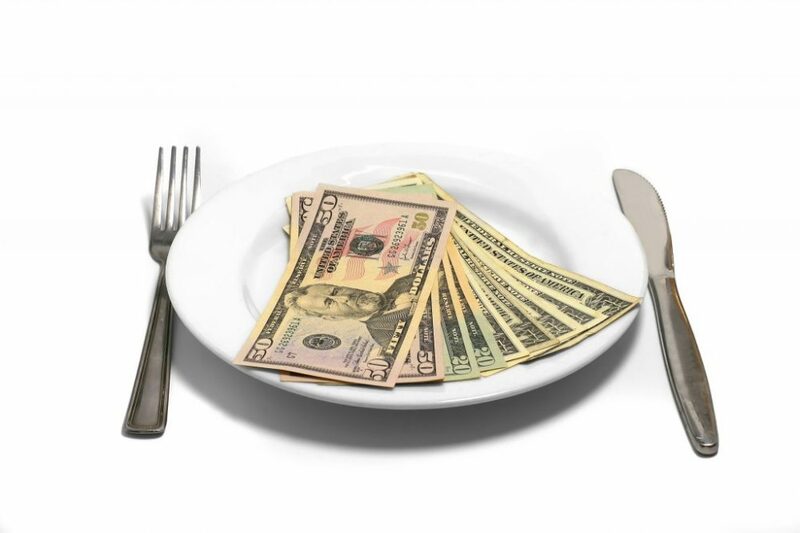 Plan your dining out around these promotions to save money. Use apps and sites like OutToEatWithKids.com to find deals in your city. Extras like appetizers, desserts, and drinks containing alcohol boost the price of your final bill considerably, as they are often the highest margin items on the menu. Stick to an entree and a basic drink and enjoy the free bread, bread sticks, or chips and salsa if they are offered by the restaurant.